Everybody wants to get on the Content Marketing bandwagon. Here is a 12 point plan to get you started. Brand Story – Be very clear on what your brand story is. This is something unique to you – something that will set you apart from everyone else. What is that? Find your story and tell your story in the best way possible. Strategy – Have a very clear plan as to how you mean to achieve the goals that you laid out. Are you going to write a blog? Upload a video? Tweet? What do you mean to do? Know your Customer Needs – Take some time and do some research on the needs of your customer – find out what those are and offer solutions to those needs. This kind of content will work amazingly well. Type of Content – Decide what kind of content you will produce. This will depend on your strengths on the one hand (what you can do best) and what your audience wants on the other. Once you are clear about this, you will know the kind of content that you will need to produce. Plan a schedule – a publishing calendar if you will. You need to be consistent at this. So commit to it ahead of time and make sure you stick to it. Track and Measure – Have the ability to measure – Unless you are able to measure what you do, you can never really be sure of how well your plan is working. Measure everything. Including the time you take to achieve what you set out to do. Data – Use data – data is essential to everything from getting to know your customer to evaluating campaigns. Data-powered decisions are extremely successful. Search Engine Optimization – Don’t forget your SEO – gone are the days when keyword stuffing and link building was the way to go. With Google getting smarter and Search Engines following suit, all those don’t work anymore. What matters is high quality content which both humans and search engines would love. Social Media – Don’t forget Social Media – Social Media is a great platform for engaging with customers, finding out what they like or don’t like and checking out the competition as well. 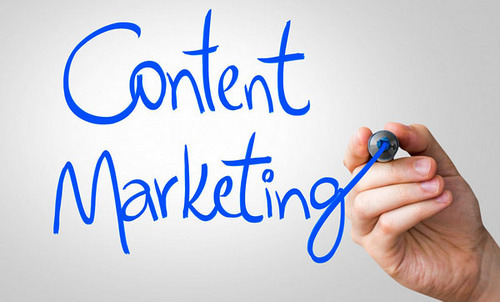 Don’t give up – content marketing is a long-term commitment. It takes time. Takes weeks and months. So keep at it and you will see results.